The Villages Achieves Gold Level Status! 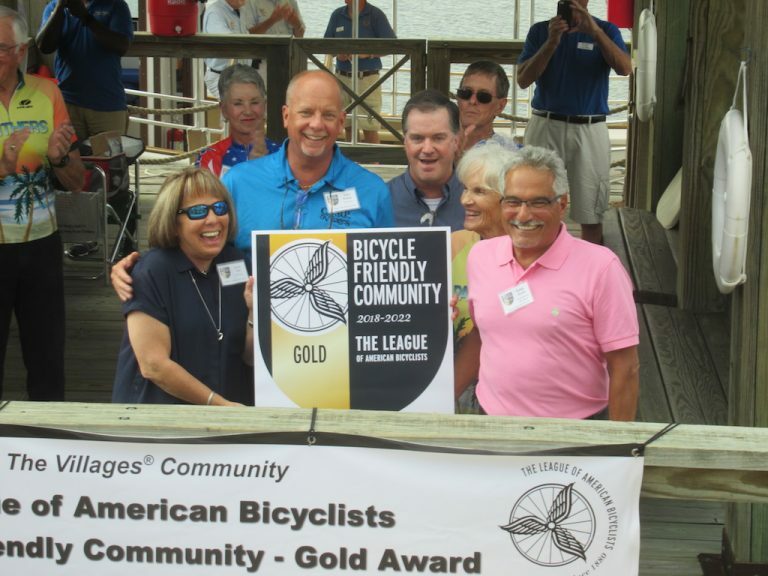 In the Spring 2018 round of Bicycle Friendly Community Awards, The Villages, FL, moved up from its previous award level of Silver to Gold Bicycle Friendly Community Awards status. Read more about this outstanding achievement on The American League of Bicyclists website.